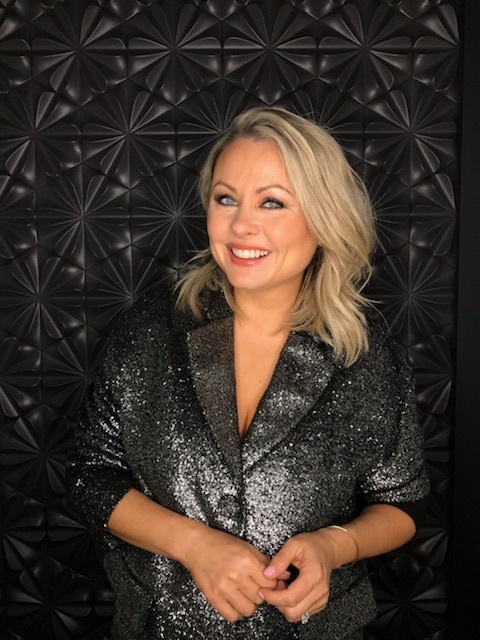 I had the pleasure of doing Mitsou’s makeup for one of the most anticipated events of the year, the famous annual MAC Ball. With light and transparency as its theme, the event provided the perfect inspiration for the makeup. As a makeup artist, it is my job to play with light, shadows, textures, and transparency. Light was added to the skin with luminous highlights on the high point of the face, as well as on the eyes by using a shimmery taupe eyeshadow and lastly on the lips with some gloss. For a glowy and healthy-looking complexion, keep the concept of transparency in mind while perfecting the skin. Before getting to the important part of the look, here are a few tips for doing your makeup for a special event. Treat and hydrate your skin! It’s the moment to pamper yourself and mask before prepping your skin. Use eye patches to smooth, hydrate and ensure a flawless concealer application. Make sure to use a face cream that provides moisture for multiple hours, that way your complexion will stay looking fresh during the entire event. Use long-wearing makeup, from your primer, foundation, to your brow gel, eyeshadow, and mascara. Less is enough! In photography, skin looks better the more natural it is. Avoid a cakey look, by applying and carefully blending thin layers of products at a time. Also, wearing a lot of makeup increases the chances of it smudging and moving during your night out. The genius of this look is that it’s fairly simple and looks incredibly luxurious. Because nowadays, simplicity is the real luxury. 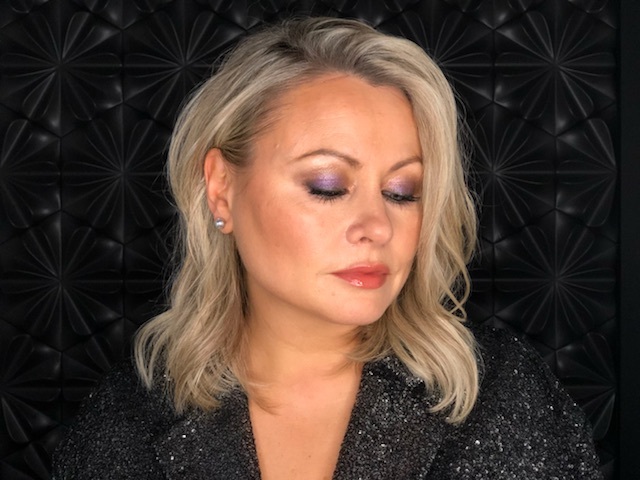 Start by applying a buildable, shimmering cream eyeshadow, like Bobbi Brown’s Long-Wear Cream Shadow in Smokey Topaz, from the roots of the lashes blending upwards into the crease. Once you acquired the desired coverage, intensify your upper and lower lash line by smudging a black gel liner. Complete the look with a pop of colour applied on the centre of the lid. I picked a purple loose pigment to bring out the blue in Mitsou’s eyes. To amp up the drama, finish off with a few coats of mascara and individual false lashes. Bobbi Brown’s Long-Wear Cream Shadow in Smokey Topaz and Long-Wear Gel Eyeliner in Black Ink. 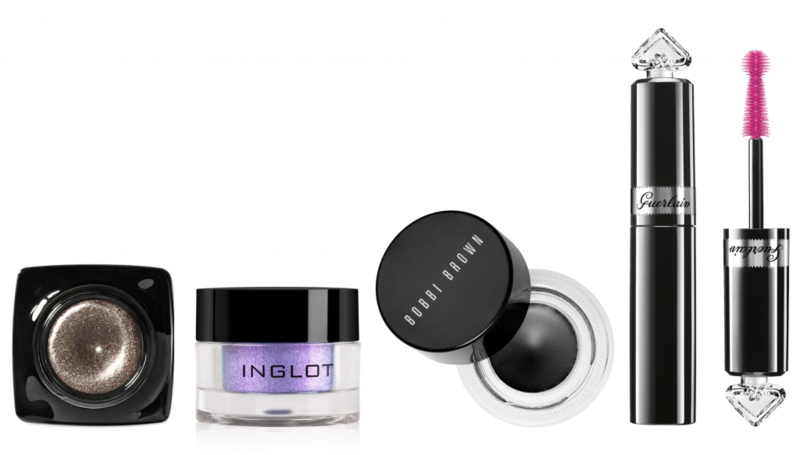 Inglot’s AMC Pure Pigment Eye Shadow in #112. Guerlain’s La Petite Robe Noire Black Lashdress Mascara. Sephora Collection’s Individual False Eye Lashes.